Hello, and welcome again to ROADTRIP-'62 ™ ! My name is Don Milne and today I'll be looking at things from 1962 and how they relate to the world then, the world before, and the world today. I hope to discuss a different topic every other week, usually related to the segment of US-23 we just traveled the week before. It should allow those of you not familiar with 1962 a chance to learn, and those of you who lived it a chance to remember. By the time we make our way from Mackinaw City, Michigan to Jacksonville, Florida, we should all have a pretty good tapestry woven of just what 1962 was all about! So settle back in a comfy chair, grab a snack that you could have found back then (we'll talk about those later), and let's check out a little history. Because we just started the trip, this is the perfect week to talk about the road system we'll be driving on. We'll be driving the US-numbered routes of 1962, with the first ROADTRIP-'62 ™ route being US-23. At that time the Interstate freeway system we drive today was very much a work in progress. States were building roads furiously but it was usually hard to travel more than about 25 miles at a time by freeway. Most travel was still on the US routes, as it had been for decades. So, what are these US routes, and how were they designated, you may ask? This system of US-numbered roads came to be in November, 1926. Planning for the system began in 1924, undertaken primarily by the American Association of State Highway Officials (AASHO) and the U.S. Department of Agriculture's Bureau of Public Roads. A number of meetings were held over this 2-year period, with plenty of political wrangling over where to locate the routes, how many routes to have, and even how to number the routes. The final set of routes was primarily along the main intercity roads of the day. Though the system has been moved, expanded and shortened over the years, it mostly represents the major intercity roads of the mid-1920s. Just a hint of the difficulties of deciding on the system follows. Sometimes several cities wanted to be on a particular numbered route, such as US-11, even though they were located along two parallel roads. The solution adopted was to split routes, creating for example, both a US-11E and a US-11W. These divided routes were not popular even after adoption though, as AASHTO (the successor organization to AASHO) has been trying to eliminate them since 1934. The current policy is to deny approval of any new split routes and to eliminate existing ones as the various states can reach agreement. As there are still several of these, it is obvious that there is still no agreement even some 70 years later! An official policy was later adopted to designate one of each divided route as "ALT" or "Alternate", but some states continue to use the original system. Some states argued for a dense road system, so that most cities of any good size would have a US route, while some states argued for a less dense system, leaving more money to improve fewer roads. Another source of disagreement was pressure from what was then called the auto trail organizations. These groups worked with cities, tourist attractions and merchants to promote various routes for long-distance automobile travel. Few of these existing auto trails inherited a single number for the entire route, creating a source of disagreement. The Lincoln Highway Association was a lucky group, because it was provided with the US-30 designation for nearly the entire route. Not surprisingly, they supported the overall plan. Numbering of the highways was also a point of contention in other ways. One of the most difficult problems was on the proposed Los Angeles to Chicago route of US-60. In general, the major east-west routes were numbered with "0" endings. Many were coast-to-coast, but this highway was considered just as significant as a complete cross-country highway. Kentucky in particular objected to this, because in an impartial grid, US-60 should have run through that state, but they received no compensating cross-country route. A compromise was proposed, but Missouri and Oklahoma objected as Missouri had already printed maps and Oklahoma had printed signs. This led to creation of the most famous of all the US routes: Route 66. US-66 was given to the Los Angeles-to-Chicago route, and US-60 was placed through Kentucky on its way from Los Angeles to Virginia Beach, Virginia. As just mentioned, the major east-west routes were numbered with "0" endings. The major north-south routes were numbered with "1" endings. The rest of the system is somewhat of a grid, with the odd-numbered routes generally north to south and the even-numbered routes generally east to west. The system begins at the east, so that numbers increase from US-1 on the east coast to US-101 on the west coast. The numbers also begin at the north, so that US-2 runs near the Canadian border and US-98 is in Florida. There are also three-digit numbers that are intended to be spurs off two-digit routes. For example, US-131 splits from US-31 at Petoskey, Michigan. These spurs are intended to increase from north to south and from east to west also. However, this part of the system is not rigorously followed, resulting in just about any three-digit number showing up anywhere in the country. Very few of the two-digit numbers were not used: only US-39, US-47, US-88, and US-100 do not exist. Yes, I did mean US-100 is a two-digit road. In the numbering scheme both it and US-101 are considered to begin with "10." There are a few types of route designations other than the split routes. Signs are added to some US highways to denote "Business" or "City" routes, with "City" being the older name. There are also some routes designated "Bypass", "Spur" or "Connector", as needed. Some states have even labeled older abandoned routings of a highway with "Historic", such as the former US-66. Special routes for heavy trucks, used to bypass around city centers, are also used with "Truck" signing. There used to be an official route log listing the detail of each route, but it was last published by AASHTO in 1989. Most interest in keeping track of these highways today is among hobbyists known as "road geeks." I fit right in there! Here's a few fun facts about the system for those of you who like such things. The longest US-numbered route was US-6, our second ROADTRIP-'62 ™ journey. It originally ran 3,652 miles from Provincetown, Massachusetts to Long Beach, California. California shortened it in 1964 so that US-20 is now longer. US-20 now runs 3,365 miles from Boston, Massachusetts to Newport, Oregon. The shortest original route was US-530, running only the 25 miles from Echo City, Utah to Kimball Junction, Utah. The title of shortest US route today is tied by US-730 and US-266. Both are just 41 miles long. US-730 runs from Wallula, Washington to Irrigon Junction, Oregon, while US-266 lies entirely within Oklahoma, between Warner and Henryetta. There is at least one route that is not continuous across the country. At the north, US-2 runs from Houlton, Maine to Everett, Washington, but would have to cross through Canada to do so. The section between Rouses Point, New York and Sault Ste. Marie, Michigan, of course, does not exist. Two routes, US-10 and US-16, used to cross Lake Michigan on ferries, back when railroad companies operated such ferries. While US-16 now ends in Milwaukee, Wisconsin, US-10 still has this discontinuity, and you can still have your car ferried across the lake! One other ferry is on the system on US-9, between Lewes, Delaware and North Cape May, New Jersey. The total length of the original system was 96,626 miles: today there are 151,228 miles. If you still want more information on the US routes, check Robert Droz's late U.S. Highways page. Before the 1926 adoption of the US routes, cross-country travel was managed by a collection of named, not numbered, auto trails. As mentioned already, these groups worked with cities, tourist attractions and merchants to promote various routes for long-distance automobile travel. There were also some of these organizations that existed apparently to collect subscription monies from the folks along the routes, without delivering any noticeable benefits. The auto trail organizations began in the early 1910s, with goals of promoting the road, the good roads cause, and economic opportunity for the cities and businesses along the way. They worked towards these goals by publishing trail guides and newsletters, holding annual conventions, and marking the routes. By the mid-1920s there were about 250 marked trails criss-crossing the nation. One reason for the conference that led to the US-numbered routes was that public opinion had begun to shift to the idea that these associations caused too much clamor, controversy, and interference but built very few highways. In short, they were becoming nuisances and not constructive partners. You can see in the names and locations of some of the trails that they sometimes presented little help to motorists. The George Washington National Highway ran from Savannah, Georgia to Seattle, Washington, but served little transportation need as little real travel occurred between these two points. Trails such as the Pikes Peak Ocean to Ocean Highway changed its western terminus from San Francisco to Los Angeles in 1924, upsetting the cities along the abandoned line. Another problem with the named trails was that many of the routes overlapped, causing confusion. This also reduced the benefits of a particular route, as another trail used many of the same roads. There was one highway in southwestern New Mexico that sported markers for the Apache Trail, the Atlantic-Pacific Highway, the Evergreen Highway, the Lee Highway, and the Old Spanish Trail all at the same place! Also, because of the various rivalries among the trail associations, the routes often were not on the shortest, best route for motorists, but were on routes that some booster would pay for. And the markers were difficult to read and differentiate. They were usually placed on any handy roadside item, with utility poles most common but also on buildings, trees, nearby fences and even rocks. The typical marker was a series of colored bands or geometric shape, and there was quite a bit of near duplication among trails. One road atlas I have from that period shows, for example, the Lincoln Highway using a sign with a red bar at top, white in the center, and blue at the bottom. This is the same pattern as the National Old Trails Road with the only difference that the Lincoln Highway includes a big capital "L" in the center white portion. Both the Keystone Trail and the William Penn Highway used the familiar keystone symbol in their signs. The Lakes To Sea Highway symbol was nothing but a yellow rectangle painted on whatever was handy! While some of these trail signs were well maintained, such as the thousands of miles of routes in and near California marked by the Automobile Club of Southern California, others were seldom inspected. A complete list of the old auto trails was maintined at Dave Schul's North American Auto Trails site. The site is not only available through the Internet Archive. There was also less need for private organizations to promote good roads as time went on, as more cars and more travel made it a public good to be financed by general taxes. The Federal-aid highway program began in 1916 but the Federal-Aid Highway Act of 1921 set the system on a path to a more prioritized improvement schedule for roads. This act limited Federal-aid highway funding to a system comprising just 7% of each State's road network, with three-sevenths of that mileage required to be "interstate in character." Both state governments and the Federal government then began the task of identifying the main roads for this Federal-aid system. They completed designation of the system in 1923, and provided a funding mechanism to surface these thousands of miles of roads. Thereafter, the need for private organizations to promote individual routes diminished. There were many trails that comprised some portion of our first ROADTRIP-'62 ™ route, US-23, or that we will cross. Beginning at Mackinaw City, Michigan we cross the Dixie Highway, one branch of which ran from Sault Ste. Marie, Michigan to Miami, Florida. We will travel this old trail from our starting point to Flint, Michigan and cross and travel along other parts of this several more times along our way south. Just south of Ann Arbor, Michigan, we cross the Chicago Trail on what is now US-112. One source notes that US-23 travels nearly the entire distance from Toledo, Ohio to Asheville, North Carolina along the former Detroit-Asheville-Miami Highway and that the portions from Toledo to Portsmouth, Ohio and Waycross, Georgia to Jacksonville, Florida were also known as the Lakes to Florida Highway. In Ohio, we find more of the old trails than in any other state, beginning at Perrysburg, Ohio, where we cross both the McPherson Highway and the Yellowstone Trail on what is now US-20. At Fremont, Ohio, we cross the Muncie, Lima & Fremont Way. From Carey, Ohio through Columbus, Ohio, we travel the former route of both the Capitol Route and Harrison Trail. At Upper Sandusky, Ohio and at Marion, Ohio we cross the two branches of the Lincoln Highway on what is now US-30N and US-30S. At Marion, US-30S was also the Harding Highway. Continuing, at Delaware, Ohio we cross the Pikes Peak Ocean To Ocean Highway on what is now US-36. At Columbus, Ohio, we cross the National Old Trail Road on what is now US-40. We also cross the Three "C" Highway, though I cannot determine what route it took. Here we also cross several branches of the Main Market Highways, on what are now US-40, US-62, and US-35. We then travel on another branch of this group on US-23 itself, as far south as Circleville, Ohio. Finally, at Portsmouth, Ohio we would have crossed the Atlantic Pacific Highway on what is now US-52. We find very few of the old national trails in the next several states. At Ashland, Kentucky, we cross the National Roosevelt Midland Trail on what is now US-60. From Ashland to Jenkins, Kentucky, we may travel along the Mayo Trail, though it may not have exactly matched old US-23. At Bristol, Tennessee, we cross the Lee Highway on what is now US-11. From Mars Hill, North Carolina to Asheville, North Carolina, we again travel along the Dixie Highway. At Atlanta, Georgia we cross both the Bankhead Highway on what is now US-78, and the National Highway on what is now US-278. We also cross both the Dixie Highway and the Central Dixie Highway on what is now US-41. Between Forsyth, Georgia and Macon, Georgia we again travel along the Dixie Highway. At Cochran, Georgia, we cross the Dixie Overland Highway on what is now a Georgia state highway. This is a rare section of an old auto trail that did not end up with any US-route designation. At Alma, Georgia we come back to the Central Dixie Highway, which we travel along for the rest of the trip to Jacksonville, Florida. This road was also the Woodpecker Route, using what is now US-1 and US-23. 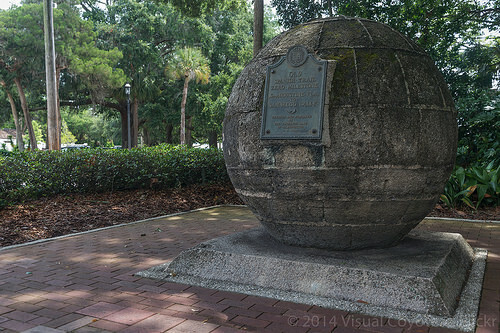 And at the end of our trip in Jacksonville, Florida we meet the Florida Shore Route and Old Spanish Trail, which are both on what is now US-90. We also meet the Dixie Highway yet again, the Atlantic Highway, and the Lee-Jackson Highway, all on what is now US-17. By 1918, Wisconsin realized the problems required a solution and became the first state in the country to number its highways. Other states followed, with the six New England states working together in 1922 to establish a set of New England Interstate Routes. The American Association of State Highway Officials (AASHO), was formed in 1914 to help establish roadway standards, and it is this group that began to plan the system of marked and numbered "interstate highways." At one of the first meetings, the group decided that the system would not be limited to the federal-aid highway network, but that even if the best route did not receive federal funds, it would still be included. They also adopted a draft design for the US Highway route marker, which was based on the shield found on the Great Seal of the United States (you can see it on the back of a dollar bill) with the top more squared off. Some in the public greeted the new system with criticism however, because of the choice of numbers to designate the highways instead of names. They saw numbers as cold, heartless, or meaningless compared to the familiar or more colorful names of the existing auto trail systems. One of the shortest of the auto trails was the Ossipee Trail, which ran only 45 miles from Portland, Maine to Ossipee, New Hampshire. The best organized route and one that has been revived in a somewhat different form today is the Lincoln Highway. This route ran from New York City to San Francisco, California: almost 3,400 miles. The idea of the Lincoln Highway came from Carl Fisher, who was also responsible for the Indianapolis Motor Speedway. In 1913, he and others formed the Lincoln Highway Association to work for an improved, hard-surfaced road from New York City to San Francisco, over the shortest practical route. By 1926, when the new US-numbered route network was in its final stages of design and negotiation, the Lincoln Highway Association was a well-established political force. To help gain their acceptance of the numbering plan, one of the chief negotiators, the Chief of the Bureau of Public Road's Division of Design E. W. James, promised that the Lincoln Highway would receive the US-30 designation over as much of the route as possible. With this promise, and because they agreed that the proposed national highway system was the logical development in routes, the Association accepted and then grudgingly backed the plan. AASHO's strategy of obtaining the approval of the strongest of all the trail associations, so that the opinions of all the others would carry less weight, had worked. The Lincoln Highway Association then made one last contribution to the auto trail movement marking the end of its formal operations with a nationwide ceremony. On September 1, 1928, they enlisted the help of the Boy Scouts of America to erect about 3,000 concrete posts along the Lincoln Highway. Each post included a small bronze bust of Abraham Lincoln and the words: "This highway dedicated to Abraham Lincoln." But in 1992, a new version of the Lincoln Highway Association was formed, initially as a historical organization. Since then, this group of volunteers has traveled the old highways and found brick roads, brick and stone markers and pillars, antique gas stations and motels and all sorts of other historical items and buildings along the route. They publish the history of the road and promote organized tourism in an attempt to raise interest in preserving the Lincoln Highway, one of the most influential roads in United States travel history, as a museum of early road culture. Now that we've looked at the highway network of 1962, both present and past, it's time to take a look at the network of the future. That is, the future as measured from 1962, or as we would call it, the present. It's time to look at the Interstate freeway system. The Interstate System has been called by some "the Greatest Public Works Project in History." There is no doubt that it has been a massive construction project. It has also become part of our culture, an integral part of our economic engine and, in many different ways, a part of our way of life. The bill that established the system was passed by Congress in 1956, though planning had been ongoing for years before that. 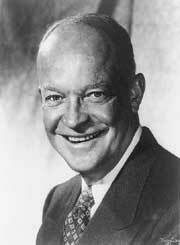 President Eisenhower considered it one of the most important achievements of his two terms in office, and many historians agree. At our vantage point of 1962, the system had only been under construction for a few years. After the end of World War II, the economy boomed and there were annually more cars and trucks on the roads. Cars and trucks both got wider and cars became faster too, so the limitations of roads constructed in the 1920s and 30s became evident to everyone. Men had come back from war with the example of Germany's Autobahns as modern highways, the first section of the Pennsylvania Turnpike had demonstrated in 1940 that non-stop intercity travel was both possible and desirable, and the public wanted more. Both the Turnpike and the Autobahns were 4-lane, divided highways with few connecting points to the existing road systems. This made for both safer and faster travel over long distances. After World War II, other states noted the success of the Turnpike and began to build their own toll roads. These included tollways in Ohio, Indiana, Illinois, New York, and New Jersey. Even during the war, a 34,000-mile highway system for defense and post-war economic stimulus was proposed by the federal government. Planning this network of superhighways for the entire country began in earnest in 1944 when the Federal Aid Highway Act authorized spending $1.5 billion over three post-war years for interstate highway construction. President Dwight D. Eisenhower is often credited with the Interstate system, and he did help push for adoption by Congress. His experience with the value of roads went back to 1919, when he was part of the U.S. Army's first transcontinental convoy. The convoy took a 2-month journey from Washington, DC, to San Francisco, California to assess the roads and the military vehicles needed to make such a long trip. While leading US forces during World War II, and after, he traveled Germany's Autobahn superhighways. But before he became president, the Interregional Highways report of 1944 had recommended construction of a system of direct highways designed to meet the requirements of national defense and the needs of growing long distance peacetime traffic. A 40,000-mile "National System of Interstate Highways" was authorized in the 1944 legislation and by 1955 the Bureau of Public Roads had designated the routes for such a system. But the problem of funding had stalled any construction for those 11 years. This is where Eisenhower stepped in with a "Grand Plan." Eisenhower's "Grand Plan", presented in 1954, had several key elements. One was that each level of Government, federal, state, county, and municipal, would help pay to upgrade the Nation's entire road network over a 10-year period. Thus the plan was not only for the Interstate system, but would provide benefits for all the motoring public. It was designed to provide improved safety, reduced traffic jams, less increased economic efficiency, even reduced traffic-related litigation, and of course, speedy response in the event of catastrophe or defense needs. In fact, the speech that laid out the plan never mentioned the Interstate System by name, only that it should include a program by the Federal government with state cooperation for planning and construction of a modern state highway system. But funding was not mentioned and continued to be the sticking point. A committee appointed by Eisenhower estimated that the Interstate System would cost $27 billion, with $23 billion of that for rural segments. The plan as adopted funded the improvements using gasoline taxes placed in a Highway Trust Fund, to be used use exclusively for the Interstate System and other Federal-aid highway and bridge projects. There was little opposition in Congress and the Federal-Aid Highway Act of 1956 was signed on June 29. It didn't take long for construction to get underway on the renamed "National System of Interstate and Defense Highways." A total mileage of 41,000 was authorized and by August two projects were under construction totaling 11 miles. The Mark Twain Expressway, to become I-70, in St. Charles County, Missouri, began on August 13, 1956. It is the mostly dashed line running from the Mississippi River towards the northwest in this map of St. Louis, Missouri. Then, on August 31, another section of I-70 near Topeka, Kansas was contracted. These projects barely had time to incorporate the new Interstate design standards, as they were only adopted by the Bureau of Public Roads in July, 1956. By the next year, though, it became apparent that the original cost estimates were far too low. Today we are not surprised when a federal program ends up costing far more than originally expected, but it was quite a shock at that time. The main reason was that the urban portion would cost about $13 billion instead of the estimated $4 billion. And the main reason for that was that the Interstate system envisioned building completely new roads on a completely new design, not just improving the old roads as most highway building had been up to that time. The Federal Highway Administration celebrated the Interstate System's 50th Anniversary with a website you can still visit, for more information. As of the end of 1960 there were already 10,440 miles or 25% of the system built! But estimates to complete the Interstates had climbed to $41 billion, including the $10 billion already spent, and talk began of scaling back the system. President Kennedy opposed that plan or stretching out the construction for more years, and instead argued for a continuation of a temporary gas tax increase of 4 cents per gallon that had been passed in 1959 as a stop-gap measure. This would add almost $10 billion over a 10-year period, and was thought to be enough to finish the system. Congress agreed and after Kennedy signed the bill that year, completion of the Interstate System was never again in doubt. In fact, construction accelerated throughout the early 1960s and by the end of 1963, 16,600 miles of Interstate freeways were open. The urban freeway problem had another dimension though, that created other changes in the system. As far back as 1939, the Bureau of Public Roads reports on the system noted that there should be multiple goals to construction of the system. The bureau used origin-destination studies of traffic before designating the routes, placing the urban roads so as to use the new highways to help revitalize blighted urban areas, restore city tax bases, and even reverse suburbanization, which by the time of their 1955 report was accelerating. The states were urged to concentrate on projects in urban areas because that was where the need for traffic relief was the greatest. But the most highway for the dollar could be built in rural areas, so construction continued to be faster there. Also, opposition to the freeways began to build in cities, as people began to see neighborhoods sliced in half, thousands of homes and businesses demolished, and other negative effects. 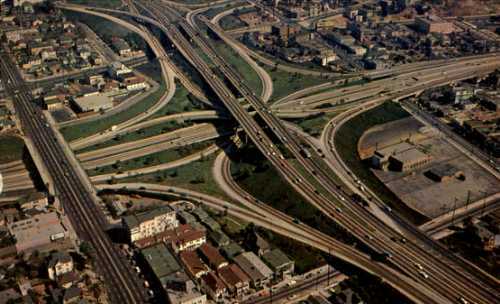 As a result, many of the urban freeways ended up being the last links constructed, in the late 1970s and beyond. Some were never constructed at all. A comparison of maps from 1966 and today finds proposed urban freeways such as I-480 in San Francisco, California, I-95 through the south end of Boston, Massachusetts, and an entire central ring of freeways in Washington, DC, were never constructed. The numbering system of the Interstates was created to be a mirror image of the US routes. The highest numbered highways therefore are on the east coast and along the northern tier of states. Like the US-numbered routes, the major east-west cross-country routes end in "0." However, the major north-south routes end in "5." Triple digit freeways are numbered with odd numbers intended to be spurs and even numbers intended to loop back to another Interstate route. The new Interstate routes were supposed to supplement, rather than replace, the US highway numbers. But many states decided that multiple numbers on a highway were confusing, and so where both a US route and an Interstate were in close proximity, they began to decommission the older US-numbered routes. Many have been shortened, sometimes disappearing entirely from a state. This trend appears to have begun with a wholesale renumbering in California in 1964. For more fun with statistics, try this interactive list of Interstates, with milepoints and more. Here's some more statistics for those of you who like them. The final estimate of the cost of the Interstate System was issued in 1991, listing about $129 billion. The final length of this federally-financed system was given as 42,795 miles funds. The Federal-Aid Highway Act of 1956 provided for 41,000 miles and later legislation increased that to 43,000 miles, so there may still be a few miles to go. The total Interstate System is now 46,876 miles long though, with the difference being constructed with monies other than Interstate Construction. The Interstate shield sign was designed by a committee of the American Association of State Highway Officials (AASHO) in 1957. The design adopted is a combination of ideas from Texas and Missouri, and was trademarked by AASHO in 1967, to prevent private entities from using Interstate-like advertising signs near the freeways where they might confuse motorists. Surprisingly, construction of the Interstate System did not contribute to the national debt! That's because the Highway Trust Fund and gasoline taxes were used to create a "pay-as-you-go" fund. What a contrast to today: in 1956 we built things with our tax money and actually paid for them when we bought them. Today, we give away tax monies to people, get nothing built in return, and borrow all the money! Like most of the US-route network, US-23 is now paralleled by Interstate freeways. Many parts of US-23 are redundant or obsolete. However, many parts still go where no Interstate does. And, in 1962 almost the entire length of US-23 was unblemished by Interstates. Only about 48 miles in Michigan, between Bay City and Flint, had Interstate signs up at that time. So, now that you know all about the US-route system, it's time to go back next week to our ROADTRIP-'62 ™ journey. See you back on old US-23! All photos by the author and Copyright © 20111-12 - Milne Enterprises, Inc., except as noted.